BMW Z4 Running Costs, MPG, Economy, Reliability, Safety | What Car? The Z4 follows roughly the pricing structure of its rivals. The entry-level sDrive20i and 30i are priced similarly to equivalent versions of the Audi TT Roadster, while the M40i is nearer to the more powerful Porsche Boxster and TT RS. Resale values are predicted to be strong after three years, while insurance and servicing costs are all competitive. If you're a company car user then the Z4 20i and 30i offer very low CO2 emissions, and more generally relatively palatable fuel consumption for those that pay their own way at the pumps. Choose the sDrive20i or sDrive30i and you’ll have a choice of two trims: Sport and M Sport. 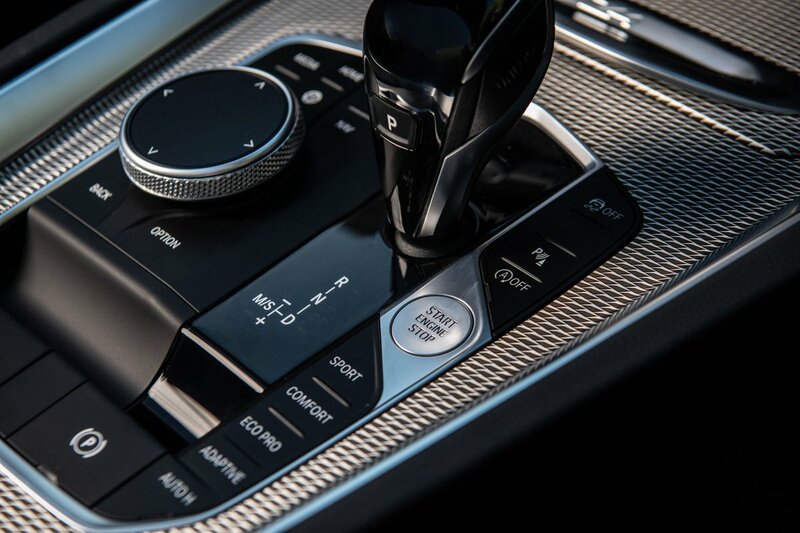 The former comes with a decent amount of toys, including 18in alloy wheels, power-folding door mirrors, dual-zone climate control, heated front seats and leather seat trim. We'd stick with that, because the latter adds more aggressive styling details in the main. The M40i is, in effect, based on the M Sport but adds a bespoke electronically controlled limited-slip differential to increase traction in corners, adaptive dampers with 10mm lower steel springs, a sports exhaust system, beefier M Sport brakes, leather and Alcantara suede sports seats and an upgraded sound system. 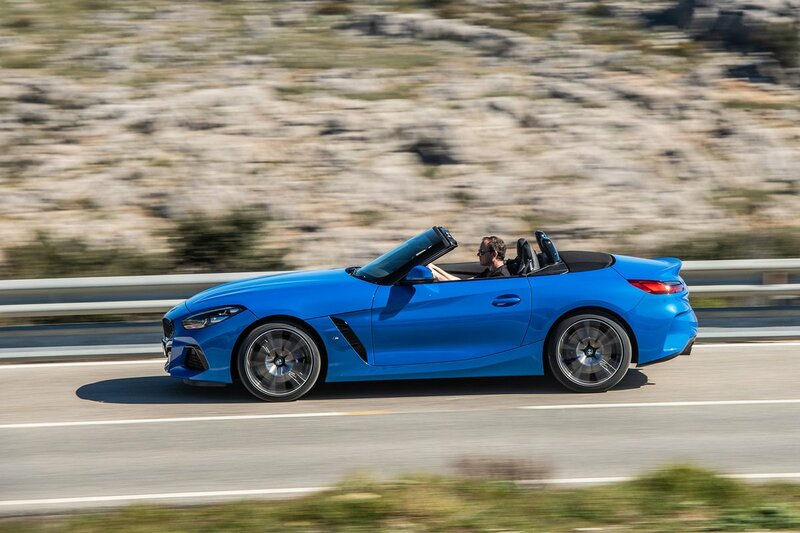 We can’t say for sure how reliable the Z4 will be, because it's too new to be measured. However, what we do know is that BMW came 16th out of 31 manufacturers in our 2018 What Car? Reliability Survey – you cannot get more mid-table than that. That doesn’t quite tell the whole story, though, because BMW was the highest-placed premium manufacturer; Audi, Jaguar, Mercedes and Porsche all finished beneath it. Against its chief rivals, then, the signs are that the Z4 should perform pretty well. The Z4 also hasn’t yet been crash tested by Euro NCAP, but we do know that 'front collision warning' with automatic emergency braking system is fitted as standard to UK-spec cars, as is a lane departure warning system. You can also add a Driving Assistant Package for more driver aids, including a clever bit of tech that can detect traffic crossing behind you as you’re reversing out onto a road, lane-keeping assistance, which steers you back in to line, traffic sign recognition, and, as a bonus, adaptive cruise control. The Z4 will appeal to those looking for a comfortable and relatively practical convertible sports car. 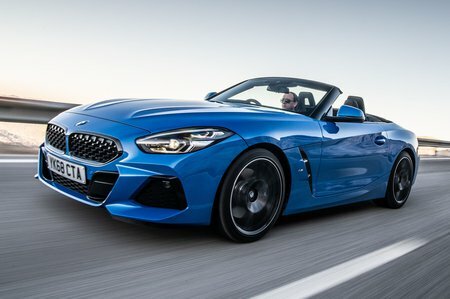 However, if you're looking for something that's primarily precise, fun and exciting to drive, there are much better-driving rivals in the Z4's price range, from the Audi TT Roadster and pricier Porsche Boxster.